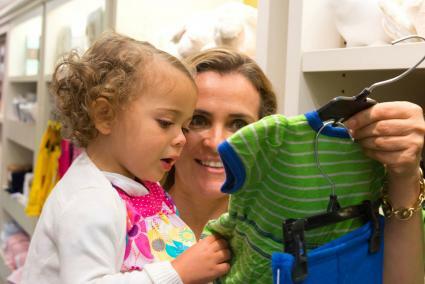 Finding toddler clothes under five dollars is easy once you know where to look. As well as physical stores, there are also online options that offer cute yet affordable fashions. A US-based online retailer based in Seattle, Zulily offers a fantastic array of kids brands at discounted prices. From jeans and tees to dresses and more, toddler boys and girls can find stylish designs in different colors, shapes, and fabrics. Zulily's tagline is "Something Special Every Day" as they add new sales and deals onto their site daily at 6 am Pacific Time. Whether you're looking for a simple, fun casual outfit or a smarter ensemble for a more formal occasion, Zulily fulfills all your little one's needs at bargain price points. For instance, check out brands like Beebay that offer cute tops and leggings for little girls at five dollars. They also provide adorable tees and polos for little boys at this price. Moreover, you can grab unisex character tees for toddlers by various brands at just five dollars each. Zulily currently ships to the United States, Canada, Australia, United Kingdom, Mexico, Hong Kong, and Singapore. Domestic shipping and handling fees start at just $5.95. The majority of items on Zulily are eligible for return; however, check each item's product page to be sure. If an item is eligible, you can return it for Zulily credit within 30 days, although, shipping and handling fees may apply. Dedicated to providing affordable fashion worldwide, Wholesale 7 designs are inspired by present fashion trends and popular styles. They feature an assortment of kids clothing in sizes 1T through to 12T. From bright color-popping hues to delightful prints, Wholesale 7 is all about the bold details. You can rest assured that your little one will stand out in a crowd for all the right reasons. Look out for the company's stylish dresses in a range of shapes, patterns, and colors for little girls at just five dollars. They also have gorgeous clothing sets for little boys at only five dollars. Whether this is a short sleeve tee and shorts combo or a long sleeve tee and pants, they will make your little one look super sweet for less. Wholesale 7 ships worldwide for a small fee. However, this fee depends on three factors: the shipping method, the weight of your order, and the country of destination. Generally speaking, your order can vary in delivery time from 3-30 days depending on your selected shipping method. If you're not 100% satisfied with your order, Wholesale 7 gladly accept returns within seven days of receipt. The item must be returned in brand new condition. Owned by Gap Inc, Old Navy is an American clothing and accessories retailer based in San Francisco. Their kids' clothing aims to make dressing easier for mom and life more comfortable for your little ones. Old Navy is renowned for their good value for money basics and frequently feature toddler clothes under five dollars. They are keen to celebrate childhood through colorful prints, fun graphics, and quality materials and construction. For example, check out their endearing tops, tees, tanks, and leggings for toddler girls under five dollars. They also do charming toddler boys versions of these tees, shirts, tanks, and shorts for the same price. Domestic shipping is free if you spend over $50 in the Old Navy online store. However, if you want to shop at a physical location, Old Navy clothing is sold all over the US. If you're not happy with your purchase, you can return it with the original sales receipt within 45 days. It will be exchanged or refunded free of charge. Headquartered in Germany, H&M is a popular fashion retailer around the globe. They pride themselves on delivering high-quality clothing designs at the best price in a sustainable way. They have a wonderful selection of kids clothing. From full elegant ensembles to simple basics, H&M features a wide variety of toddler designs to suit every personal taste. For little girls, look out for their delightful range of printed jersey dresses at below five dollars. Similarly, for little boys, check out their lovable cotton shorts for five dollars and under. H&M has stores all over the US, so you may be able to find a location near you. However, they also offer free shipping to your home if you spend over $40. If you're not happy with your order, you can return it in store for a full refund. However, if you want to send it back via mail, $5.99 will be deducted from your total refund amount. Founded in San Francisco by Sam Walton, Walmart is one of the largest discount department and grocery stores. They are physically present all over the US, as well as having a large online offering. Walmart provides clothing for all the family, including toddlers, at extremely good value for money. From trend-driven pieces to everyday essentials, Walmart has an extensive selection for both little boys and girls. Look out for their fashionable tees, skirts, dresses, rompers, and pants at below five dollars for toddler girls. If you're shopping for a toddler boy, you can choose from Walmart's selected range of tees, pants, and shirts for under five dollars. If you're not a fan of shopping in one of Walmart's many stores, you can order items online and they will be shipped to you within two days for free. There's also a free "click and collect" service. Walmart has a quick and simple return policy. If you're not completely satisfied, return your item by mail or in-store and you'll receive your money back. 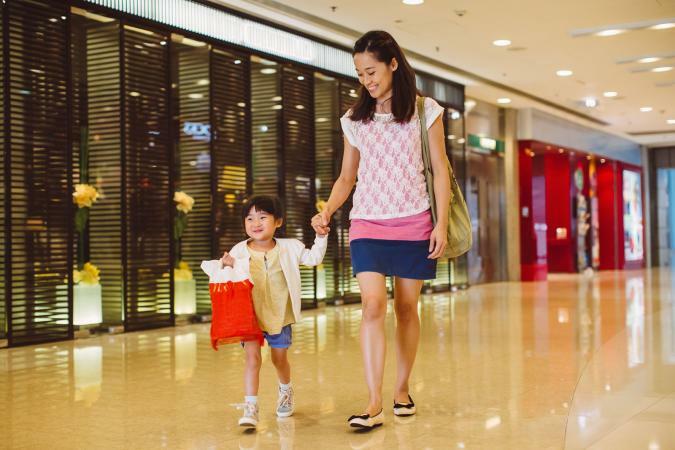 There are a multitude of stores, both online and offline, offering a variety of toddler clothing styles for under five dollars. Simply take the time to compare the different options for the most fashionable, highest quality bargains at the lowest prices.